Max Temperature – 158 F / 70C. Static PSI – 58.0 / 4 Bar. “H” Max Temperature – 212 F / 100C. Inlet / Outlet – 12.4mm x 10.8mm. Can be run directly from PV. The B10-A Circulating Pump is one of our B series micro centrifugal pumps. 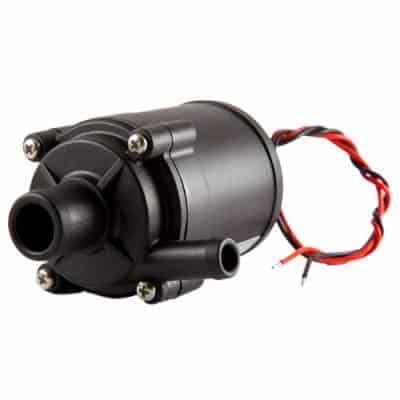 It is powered by a three-phase brushless DC motor. Our B series pumps are designed to be quiet. Also, they are made to be compact and lightweight. The B10-A has a variety of features. For instance, it has a seal-less design to prevent leakage. 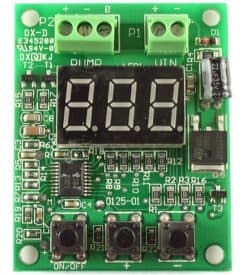 It also has a wide range of working voltage. 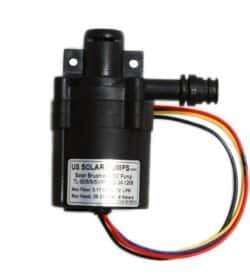 This provides the pump with a stable performance. The B10 is designed for general and commercial use. They can be used for industrial applications. These pumps are ideal for all circulation pump implementations. The B10-A pumps fresh water and seawater. 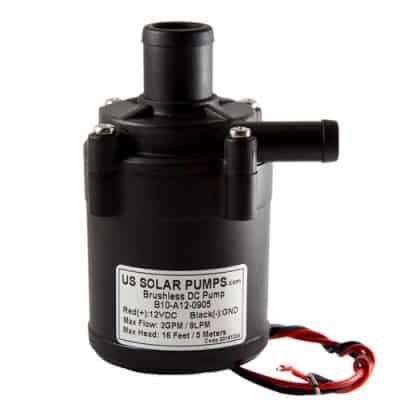 Moreover, it can pump other liquids that are compatible with the pumps’ materials. It can sustain a continuous 24-hour workload. Life expectancy of well over 20000 hours. Designed for high temperature endurance. Reliable because of the unique design. The pump contains one moving part. The magnetically driven impeller spins on a single ceramic bearing. Furthermore, this extends the life of the pump beyond existing standards. Liquid filling and transfer in food. Fountain, aquariums and small fish ponds. Instant electric water heater, electric shower. Circulating systems for homes, RV’s and boats. Take a look at our Vacuum Pumps. Additionally, view our selection of Control Boxes. Visit our Facebook page to see more posts about Pumps!